During my assessments I noticed that I had several students who did not do well with the 25 kindergarten sight words that we teach. (I think the first grade list is over 100, so I always try and teach part of that list as well.) I decided that this weekend I was going to make some new centers that really focus on exploring and using these words. I have also been focusing on ways that I can differentiate more in my classroom to meet the needs of every child. The following is a list of ideas I am working on now and ideas that I either have used in the past or found on line. Buzz, Bang,Splat: This is a game that teachers have been using for years. There are lots of different names for it! At the end of the explanation I will note a version my kids created the other day. Write all sight words on cards several times. Also, write the key word (Buzz, Bang, Splat, etc…) on some cards, not too many. Lay all the cards on the table face down. Students one by one choose a card. If they know the card they keep it. If they do not then they put it back. If they select one of the key word cards they put all their cards back into the main pile. I created a recordning sheet called a Buzz Board which will allow the students to record their words after each game. Bean Building: I took navy beans and write different letters needed to spell our kindergarten sight words. (I also noticed that several students are having difficulty gripping their pencils, so fine motor is another are we are working on.) The students will use the beans to build the 25 kindergarten sight words. They will then write the words on a recording sheet. Recording sheet coming soon! 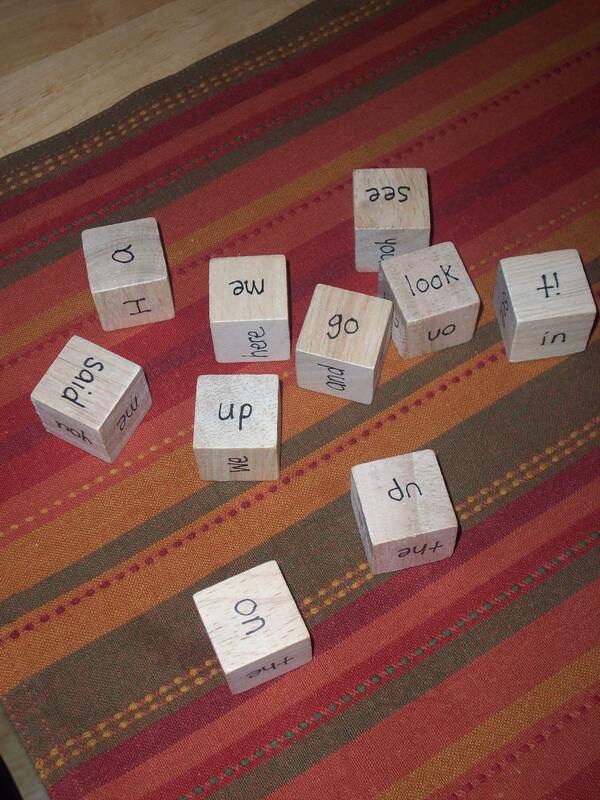 Sight Word Cube Toss: In my closet I found a box of small wooden cubes and wrote our sight words on them. I am going to have the kids either complete a graph of the amount of times they roll each word or color in a chart for the amount of times they roll the word. After this I will have the students write the word on a recording sheet. (I am thinking of having them do this for the 100th day of school and calling it… Roll 100 words!) Lots of ideas here! Heidi Songs! to teach sight words by singing. Heidi also has some wonderful ideas on her blog. Mrs. Spatafora’s Kindergarten Blog · Just another day in K!